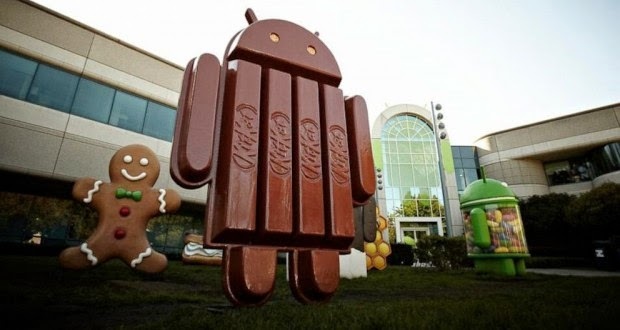 IWASSA Co.: "Google" launches an update to the system "Android KitKat" lets you install applications on MicroSD. "Google" launches an update to the system "Android KitKat" lets you install applications on MicroSD. Yesterday, the company released an update Sony Android 4.4 KitKat phone Xperia T2 Ultra, this update has brought a number of new features from Sony, as well as the main features in the usual Android system KitKat. But it seems that Sony's added a new feature to update Android 4.4 KitKat, and this feature is the ability to transfer your applications from the phone's internal memory to external memory MicroSD on your machine. This feature has not been included in the description accompanying the updated Android 4.4 KitKat phone Xperia T2 Ultra, and you can see a picture of the new feature below. And this feature will be welcome by owners of phones Xperia, and now users will be able to install more applications on their smart phones via the external memory MicroSD. It seems that this feature has been added just to the phone Xperia T2 Ultra, it is expected that the Sony Corporation added to some of the other devices in the future. Sony Corporation said yesterday that it also will bring the system Android 4.4 KitKat for a range of other devices, which will include the Xperia E1 and Xperia M2 and Xperia M2 Dual, and we expect to get all of these smart phones this feature.